I like their description of where the location is. ‘We are almost exactly mid-way between London and Edinburgh’. 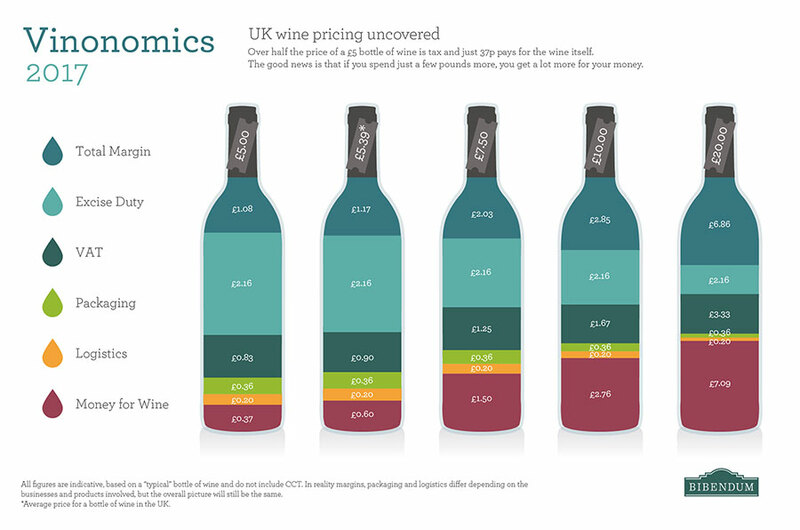 You’re right about the wine list price, very reasonable! The Old Fire Engine House in Ely has a good wine list, with remarkably low mark ups. They are also known to serve seconds if you’re still hungry. Worth a visit. Goodness me! I’ve got to get along there soon! The Old Fire Engine House in Ely! My dad used to take me there for lunch when I was a student nearby in the late 1970’s. Still apparently run by the same couple and indeed they seem to have little truck with ‘modern ‘ restaurant trends both from a menu or wine list perspective. As I’m now living closer to Ely again it’s on the to do list. Noble Rot in Holborn is pretty honest with its mark ups for London usually never more than 3x, unlike most other places looking at 4/5 times especially when wholesale price is taken into consideration. Outside London one of the worst examples is Rick Stein 5x+ markup for Cornwall is obscene. Pretty sure this has come up before, but for London Andrew Edmunds stands out. It’s an old school bistro type place but we loved the food and the wine list is both excellent and unbelievably reasonable. Went for my birthday and got something I thought was no longer possible in a London restaurant - a bottle of very decent burgundy (with some age) - without having to take out another mortgage. Went for my birthday too - aligote by the glass X2 with crab, bottle of mature Graillot Cornas with grouse and hare, glass of Banyuls with dessert. The drinks bill was about £70 - not at all bad. I do think , for the UK, that part of this comes from the low cost of food in supermarkets and ( a lot of people) people expect low prices in restaurants. Was a brief mention on the news this morning that the “boom” in high street chain restaurants is about to go “pop”…hope fully the microwave cooking ones ! Where I am the high street chains went pop about 6 months ago. Jamie’s is closed (good riddance) although he’s in denial about just how crap it was. Cosmos’s still attracts queues which is a shame. Bella Italia and Bills still somehow tick along. We have so many good independents that care about what they do and don’t microwave everything and don’t even cost more. I’m lucky to live within 10 minutes walk of two reasonable if unglamorous BYO restaurants in Bristol, a cheap and cheerful Moroccan and a usually decent and cheap Bangladeshi place. Both restaurants being run by non drinking Muslims don’t serve alcohol but are happy for you to bring wine or beer. Alain Graillot is a top grower in the Rhône's Crozes-Hermitage region and has teamed up with an excellent estate in Morocco to make this fragrant, gently spiced and full-flavoured syrah. Dark and ripe with good length. The 2016 has elegance and lovely flavours of ripe, fresh fruit. For vegetarians here white Rhones seem to work well. Indian food can be tricky to match with wine, but its not impossible! Sticky Chilli Tofu is wonderful with young Riesling Kabinett (wouldn’t go for anything too fine) and we found that Sri Lankan garlic curry was well matched with the M&S Qvevri Georgian wine. Much less boring than tasteless lager! 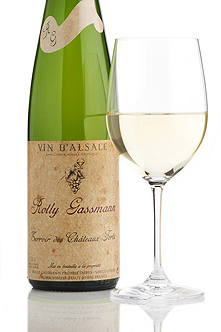 Floral-scented, silky-textured multi-varietal Alsace white. Its lovely bready top note and gorgeous grapy palate make it a delicious aperitif or match for a spicy stir-fry. and Noble Rot for having a wonderful selection particularly from smaller wineries (e.g. grower champagnes). Kitchen W8 for Michelin star food with no corkage Sun/Mon and low corkage the rest of the week. 28-50 in Marylebone not only has a fine selection, and an ever-changing short list of odds-n-sods from individual collectors, but will also offer reasonable corkage during the week - I’ve dropped little off in advance so they can decant them. Saying which - always be bold about ringing up to ask what the corkage is - you’ll be surprised how many times they do offer it but don’t really advertise it, and depending what you want to drink, that can be a bargain. Mind, it removes the joy of discovering something new from their list on recommendation with their sommelier, but you can’t have your cake and eat it, as they say. I saw the self same bottle in Sainsbury’s two days ago at £5, with 25% discount when 6 bottles were bought. If the supermarket can retail it at £3.75 and still make a profit then I wonder what Beefeater paid for it. *excellent steak and unlimited triple cooked chips. And the wine was pleasant too. Also supermarkets are a very different business model to a restaurant. I had a glass of the aligote as well, and I also love that they have a decent sherry selection by the glass or bottle. 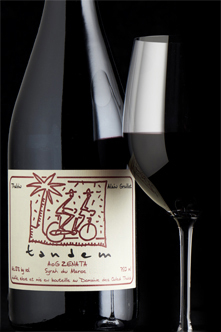 Old thread, but I thought you might like to know that the Tandem Syrah appears regularly on restaurant wine lists in Marrakech priced at 850 Moroccan Dirham, which is currently the equivalent of £68. Not sure about the vintage because Moroccan restaurants can’t be bothered with dates, but that’s a markup of 5.5X the Wine Society’s price. What multiple of the local price must it be?! Wow, it’s a nice wine but not £68 worth, even in a restaurant! Well, I might have been tempted to order it at that price. I found it earlier this week for 850 MAD at the Four Seasons Resort and for slightly less at La Sultana. Admittedly, both of those are 5 star hotels, where you might expect (somewhat) higher prices. I will just have to wait for a sunny day, make a tagine, and drink a bottle from TWS instead. I had it at a French riad near the Djemaa el Fna. It was kinda expensive by our standards but obviously not as much as the “5 star” places!